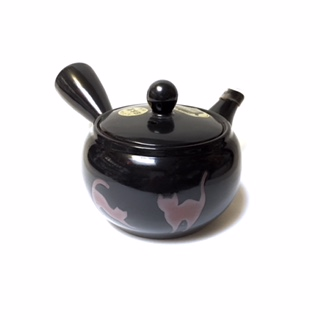 Smooth black tea pot with playful cats. S. S. basket strainer. 2 3/4" opening and 3" height.